The best kind of feeling is when you feel like you are on top of the world, which explains the many idioms owing their denotations to that particular sense of euphoria. You feel like you are just on cloud nine, just saying. It is not about feeling like you are right there at the top or the sense of superiority, but rather at that thought of being able to take in everything at an elevated view. The way a bird view the world. It is that feeling as though you are flying. It is that sense of excitement to be able to even for a moment, imagine and feel as though you are floating above ground when we are unable to spread our wings and literally, really soar like a bird. That is why they call it the bird's eye view. That's also the reason I enjoy going to high levels to just take in the view of everything around me (though not really for those with acrophobia - a fear of heights, that would be more of horror than of joy). Almost every city; at least the ones I have been to are keen on showing off their assets which are amassed as results of their planned development to impress visitors and even their local residents. It is perhaps the reason for most of the cities to spearhead skyscrapers at that jaw-dropping height, or perhaps to stay in competition with the other cities as they attempt to steal the crown of the tallest building from each other's peak (pun intended) on the secondary. 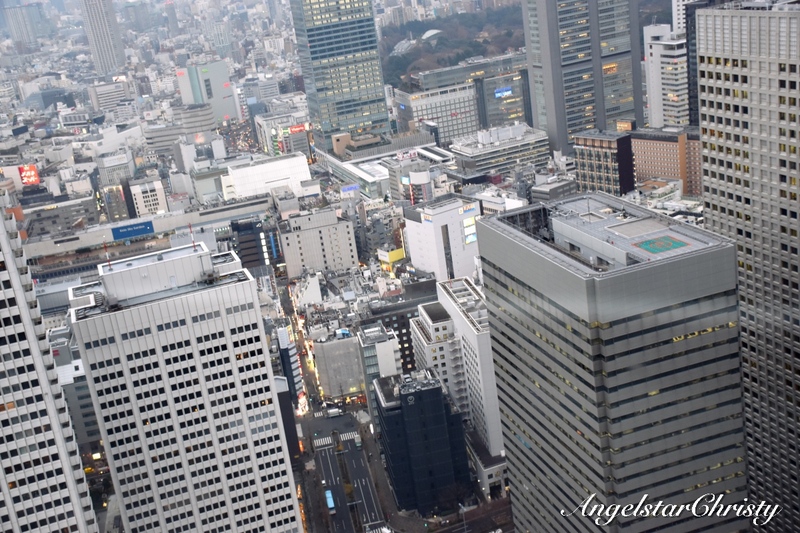 Being one of the most rapid-moving cities in the world in terms of development and advanced technology, Tokyo is certainly not losing their own spot of limelight on the list of towering buildings. The massive and well-planned development of this impressive city boosted by the fact of their overcrowding population is quite a sight, as one can imagine, and enough to stifle wows from their visitors. Of course the first landmark that comes to mind would be the famous Tokyo Tower; the 333 meters high (1,092 ft) communications and observation tower, which also happens to be Japan's second highest structure in standing, after Tokyo Skytree which was completed in 2012, standing at 634 meters. 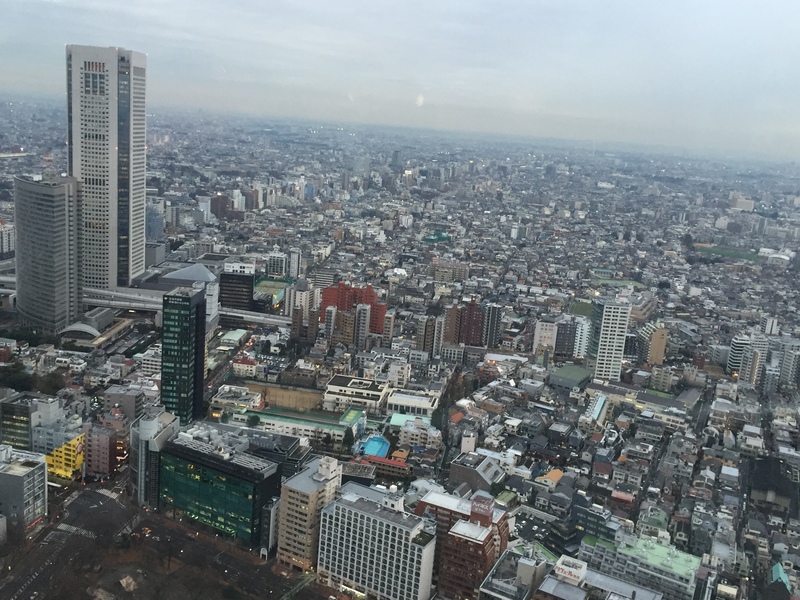 I have another alternative, albeit not the tallest building in Japan; though it once held the title of being the tallest in Tokyo until 2007, to take in that panoramic view of one of the world's most advanced cities. Still, this lands on the list of the Top 10 tallest buildings in Japan, and is still, the second tallest in Tokyo. The Tokyo Metropolitan Government Building, or the 東京都庁舎 Tōkyō-to Chōsha or Tocho (都庁) for short, is that home to the state government which oversees the 23 wards, towns, villages and everything in the metropolis capital of Japan. Standing at 243 meters high with a complex of three building structures; the highest sporting 48 storeys high, the establishment towers over the complex web of landscape that makes up the capital city. 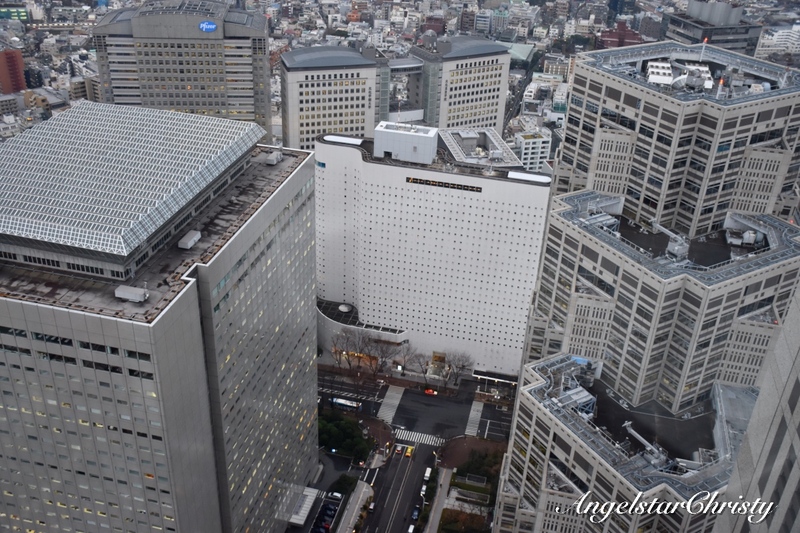 To my benefit, the building mentioned is located right in Shinjuku and the towering structures blend themselves into constructing the iconic wallpaper of the district's already colorful and vibrant background. Designed with the inspiration of a computer chip in mind, the building was constructed with a simple and practical style though it still comes into notable representative forms; from the digital architectural style to even the influence of a Gothic cathedral to which the split of the structures in the main building are said to resemble. 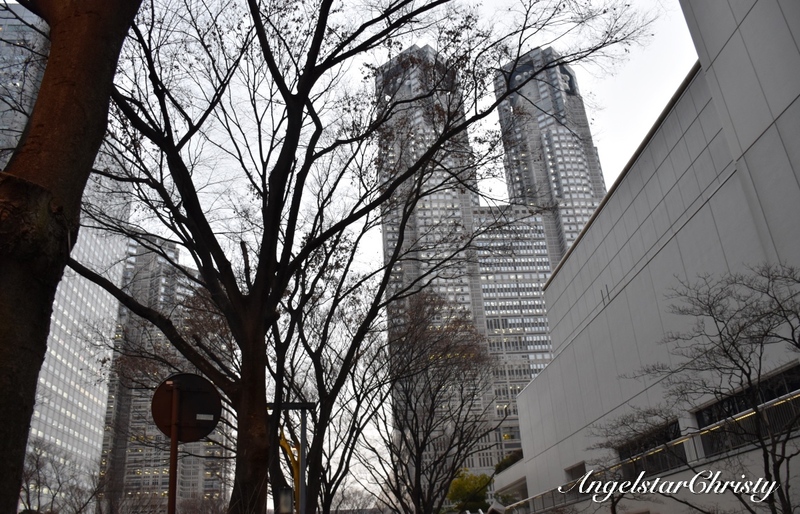 Tokyo Metropolitan Government Building may be an administrative building; with its prim and proper status to the mode of practical functionality to which it officiates under thus that could be the very reason it came well under the spotlight when it comes to tourist attractions. The modest landmark was notably lesser known compared to its more renowned counterparts of Tokyo Skytree or Tokyo Tower, and was further plummeted down when it was superseded by the new Midtown Tower as the tallest building in Tokyo in 2007. While it may seem rather unusual to associate an official building with tourist lest it garnering popularity, it is indeed the case as the tourists flock to the building to enjoy that less-crowded yet panoramic view of the metropolis city. 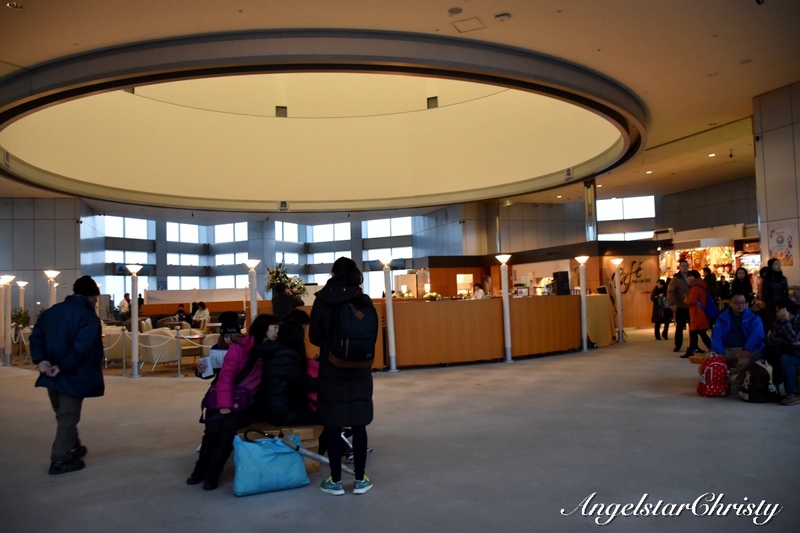 I was surprised myself, when I found out that I could enjoy the view from an administrative building which even permits entry to tourists, though security checks are rather strict due to the nature of the building's operation. 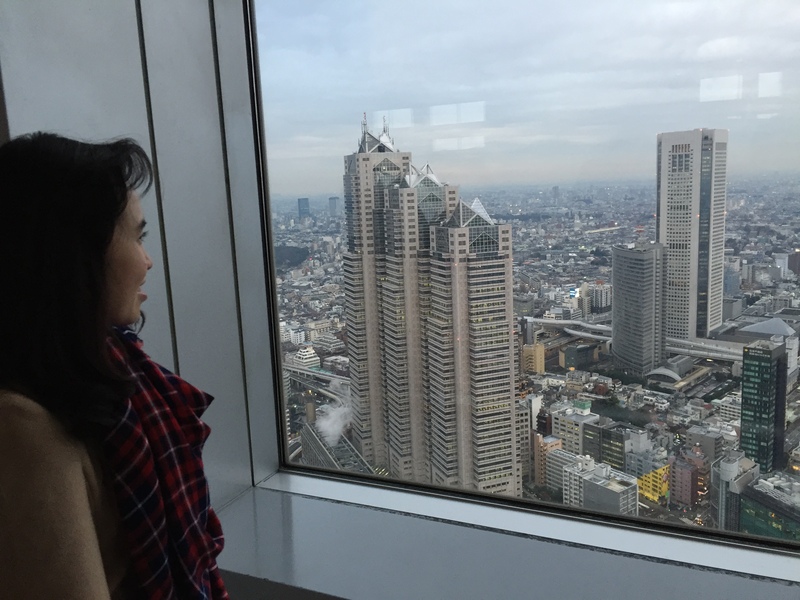 The observatory decks are located on the 45th floor, and can be found in both the buildings which are split in the main building; forming the North and South observatory, for visitors to take in the view of Tokyo from the height of 202 meters (663 ft). 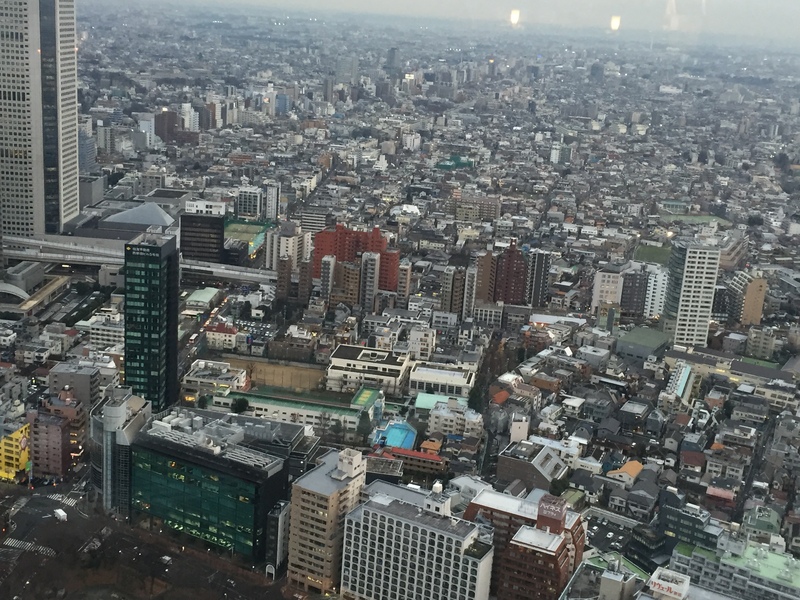 Despite it being an administrative building where the government of Tokyo sits, the observatory decks are still operated the same way as most of the notable skyscraper towers in the world; with guides pointing and leading visitors to the designated elevators and floors for their view. 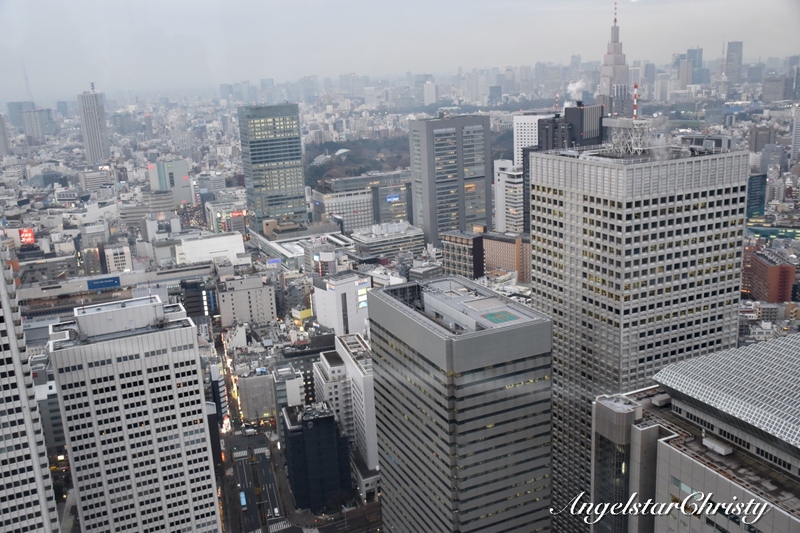 There are gift shops and cafes available too, and while this may not be the highest point in Tokyo to take in the view, it is still quite an impressive view of the capital nonetheless. Tokyo Metropolitan Government Building is still the second tallest point in Tokyo, and while it is businesslike and all, it is interesting that this is still a tourist attraction to call on when one is in Shinjuku. It may be well-known for its official operations; that is governing the complex metropolis of Tokyo, and also its observatory decks for the view of the city, yet at the same time, this landmark still enjoys a rather modest reputation in general and perhaps crowd who are mostly flocking to the far more reputable Tokyo Tower and Skytree for the view, or perhaps it was just the weekday which did not command that crowd I would imagine for a high point observatory. Whichever it is, this is quite a gem of a find, though it is not really a concealed secret and to my benefit, just in that very district where I was in. If that is not the best part yet, did I mention that the observation decks are for free? Yes, there is still something free in Tokyo, and it is right here, in the Tokyo Metropolitan Government Building. As long as you do not mind being in such a forbidding building, though hostility was far from my description of my visit. And it was definitely as good or even better than you may have thought. *I was there in the evening; therefore most of my views are captured during the transition from dusk to night. Take note that this is during winter season and due to the time of my visit, images may appear be slightly foggy. No admission fee required, but security checks at the entrance due to this being a government building.